On the shore of the Plansee, embedded in extraordinary mountain scenery, you will undoubtedly find relaxing peace and queit as well as lots of opportunity to get your blood pumping. Water sports enthusiasts find themselves in their element in the clear water (drinkable!) just as hikers, alpinists, idle folks and those hungry for experience will find their thing. A region with fresh healthy air awaits you. For romantics seeking a cozy atmosphere, the rustic hut "Musteralm" awaits you. In addition, you can also take a regularly-scheduled boat ride on the lake. The campsites are spacious and child-friendly (playgrounds are on site). Come spend your holidays in one of the loveliest places on earth! The campground "Seespitze" terrace-shaped lay-out and thus offers every visitor a beautiful and unobstructed view of the Plansee. 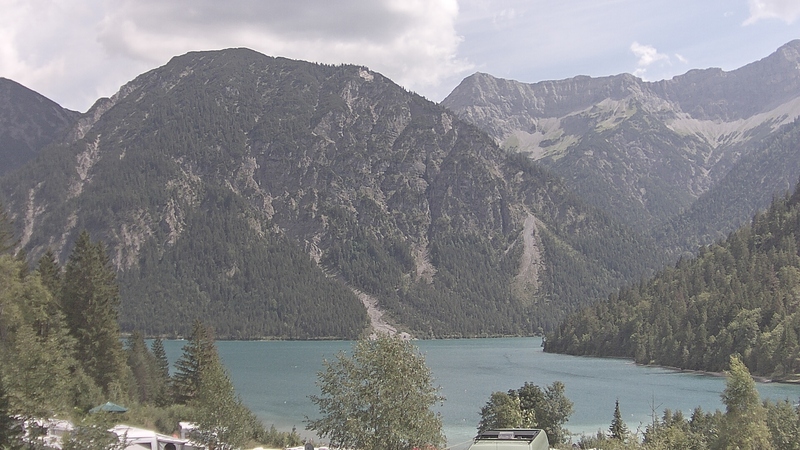 The Hotel Forelle with it's Café-Restaurant is surroundet by greenery - located directly to lake Plansee. The idyllic location of campground "Sennalpe" at the end of the lake provides a lot of space for mobile homes and campers. The dive center offers everything from staying in log cabins with a Nitrox filling station to complete diving packages. Discover the show dairy and the farm with it's animals and enjoy the healthy, traditional Tyrolean cuisine. Griesser's Seespitzkiosk and Kiosk Camping Sennalpe are our cozy meeting places on the lake. Look forward to great events.